Google Arts & Culture and Jacquard (Google ATAP) are launching the first artist-in-residency with the goal of exploring synergies between technology, art, and fashion. Google Arts & Culture and Jacquard (Google ATAP) are launching the first artist-in-residency with the goal of exploring synergies between technology, art, and fashion at Google Arts & Culture Lab in Paris. Curated by Pamela Golbin, the program will enable three artists to conceive of and create works that explore textiles, connectivity, and creativity over the course of a five month residency. This residency will grant the three artists access to the core of Jacquard technology, factories in Japan, mentoring from Jacquard and Google Arts & Culture engineers, mentoring from Pamela Golbin and Memo Akten, and access to the Google Lab space and resources in Paris. The end of the residency will be celebrated by showcasing the art installations at a private event in October 2019 and potential partner museums. Additionally, final work and the Making Of process will be featured in a dedicated section on Google Arts & Culture platform. Artists will own the IP of their artwork. This opportunity is open to artists of all ages, at any point in their career. 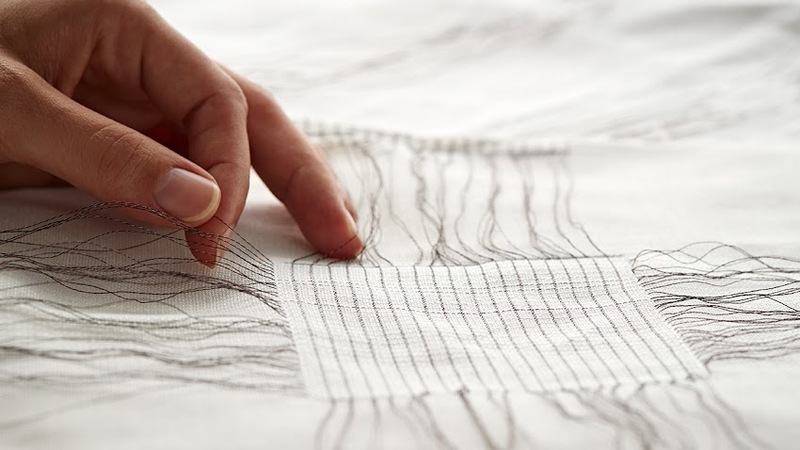 Though strong support is provided alongside technical expertise from Google Arts & Culture Lab and Jacquard engineers, the artist must be eager to explore new technologies and be capable of delivering a fully finished project that incorporates Jacquard technology by the end of the residency period. It is envisioned as a five month full-time residency, but allows flexibility for the artist to pursue other projects and work during the residency. Artists must be available once per month for production reviews as well as at the start and at the end of the residency in Paris. Both new projects and projects that are in development but are not yet completed are eligible. Candidates will be selected based on the strength of their project as well as their ability to deliver, and a demonstration that the residency will be beneficial. Artists should grant the right to display their artwork as well as document the making of process. Apart from Jacquard background IP, artists must guarantee full ownership or right of use in perpetuity of the used material, including musical rights if applicable. Note: Program participants must make their own arrangements to and from Paris. 3rd April 2019 : Email to the 10 selected artists , 5th of April 2019 : Artists to present their work to the jury (by VC or in person at the Lab in Paris) 8th of April 2019 : Announcement of the 3 final artists selected 16-17-18th of April 2019 : START of the RESIDENCY (mandatory days at the Google Arts and Culture Lab in Paris) May 2019 : Jacquard factories and partners visit week in Japan 31st of September 2019 : END of the RESIDENCY (Internal presentation of the working installations) Oct 2019: Outcome presented at TBD [Institutional Partner’s] exhibition space in Paris. APPLY HERE Deadline Monday 1st of April 2019 at 18.00 CET / 9:00 PST . This entry was posted on Sunday, March 10th, 2019 at 12:27 pm	and is filed under Awards, Competitions, Exhibitions, General, New weave developments, News, Reseach. You can follow any comments to this entry through the RSS 2.0 feed. You can leave a comment, or trackback.